A Bar Mitzvah Gift. 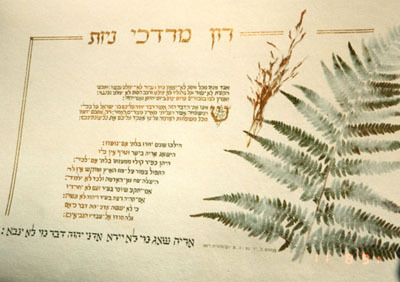 Simple and elegant, the text is written in Green and Brown to match the fern which is imbedded in the paper. Ink: Gouache and dry pigments.